Top this easy pork casserole with shredded cheese if you want. 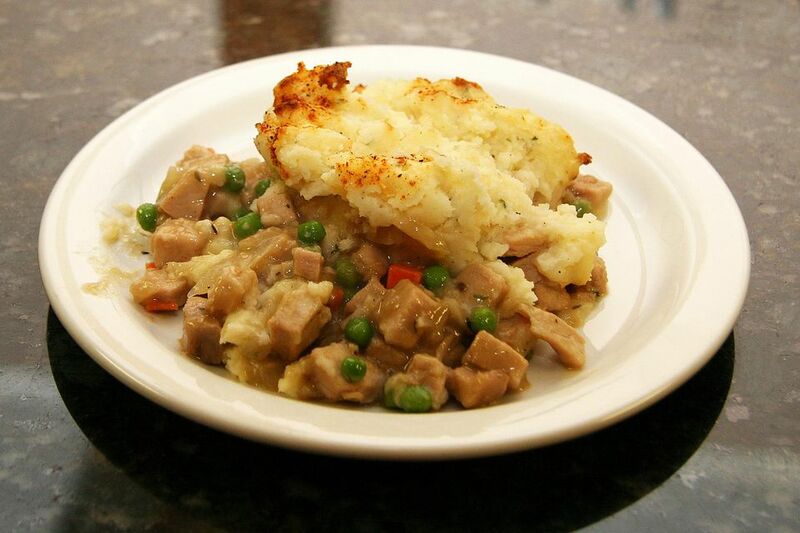 This tasty pork and mashed potato casserole is an excellent way to use leftover pork loin roast. Heat butter in a skillet over medium-low heat; add onion and sauté until tender, about 2 minutes. Stir in flour until well blended and cooked, about 2 minutes. Add salt, poultry seasoning, and pepper. Add broth and water, stirring until thickened and bubbly. Add the diced pork and vegetables; heat through. Pour the pork mixture into a lightly greased 1 1/2-quart casserole. Spoon prepared mashed potatoes evenly over the mixture. Bake at 350 F for 25 to 35 minutes, topping with cheese the last 5 minutes, if desired.